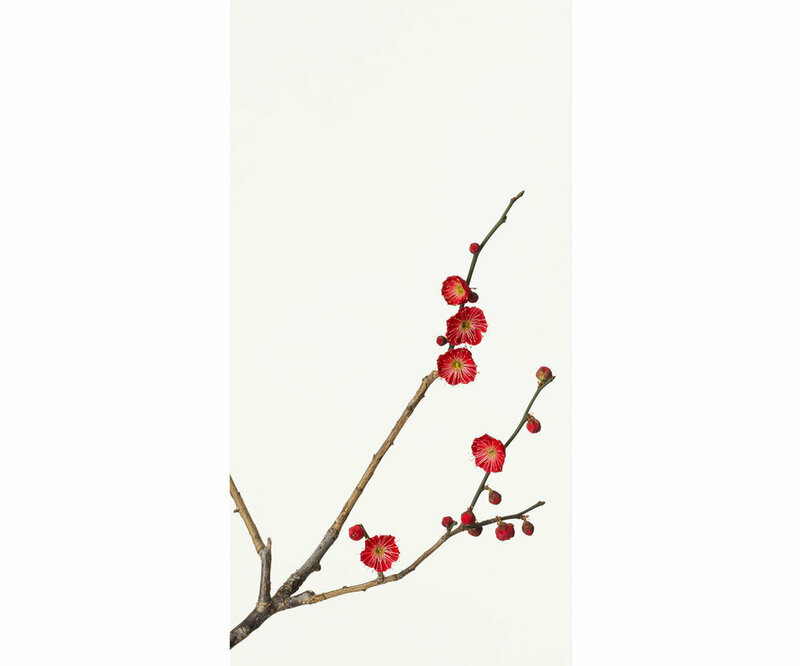 Japanese photographer Takashi Tomo-oka is a traditionalist at heart. 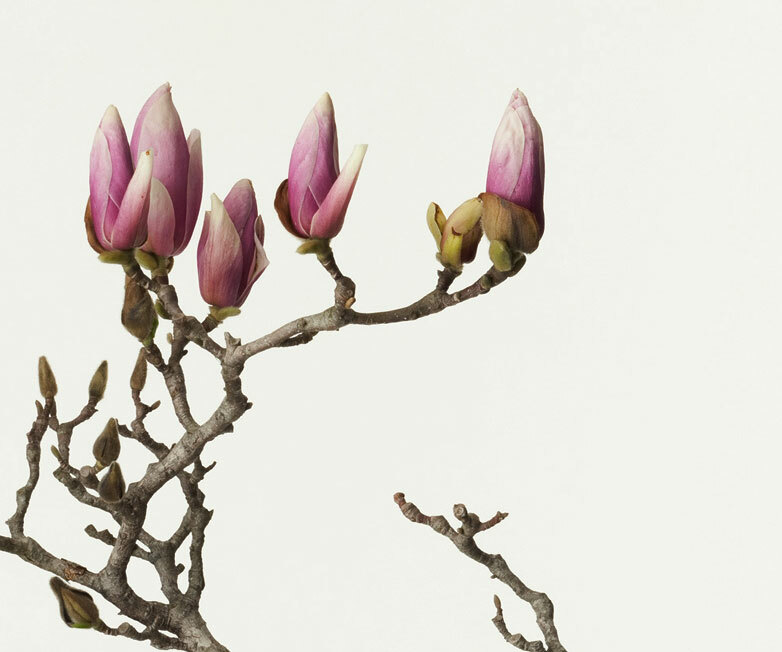 Embracing his early education in Nihon-ga, traditional Japanese painting, Tomo-oka’s floral photography presents a refreshing vision of the impermanence of nature. Tomo-oka photographs the same way as an artist grounded in the canon of Japanese art. He creates a strictly two-dimensional space devoid of perspective. This distinctly Japanese aesthetic was popularized in woodblock prints as early as the 18th century, and has become an iconic feature in contemporary manga and anime movies. “I wish to express the beauty of 'kaboku', which is to say, flowers and trees, using photographic techniques to create an image resembling a painting. 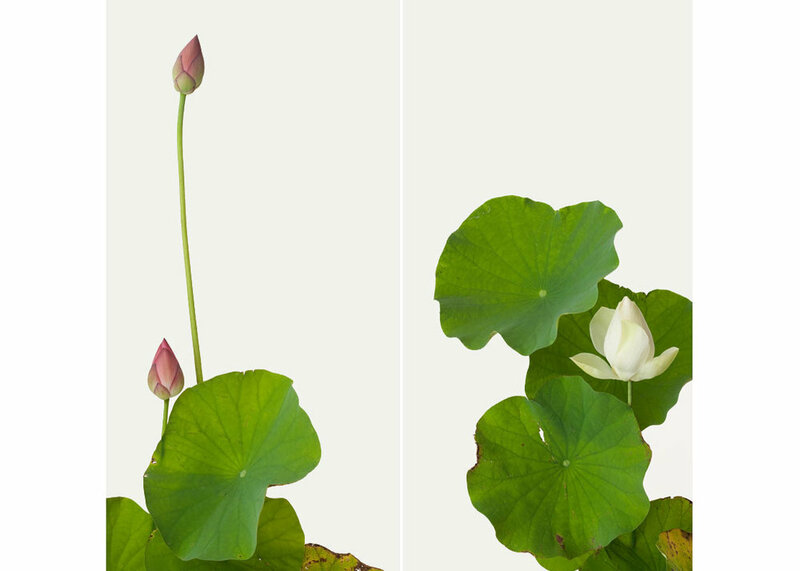 I want to be able to feel the unadorned beauty of the plants, using a composition consisting solely of the plant and empty space, making the picture as simple as possible,” says Tomo-oka. The emphasis of space and emptiness in Tomo-oka’s photography highlights the blossoming flowers in their most intimate stages of growth. He begins the creative process by closely examine how the plants mature. He looks for a specific moment beyond the flowers’ full bloom, as the first signs of decay start to emerge. Tomo-oka explains that his focus "is not just their beauty but also their dark side—dying leaves or ones eaten by bugs, rotting berries, even poisonous weeds that people usually avoid because they give off a bad smell." This idea of capturing the transitory essence of nature harks back to the ancient Japanese principle of wabi-sabi – a set of beliefs addressing the imperfection and impermanence of all life. 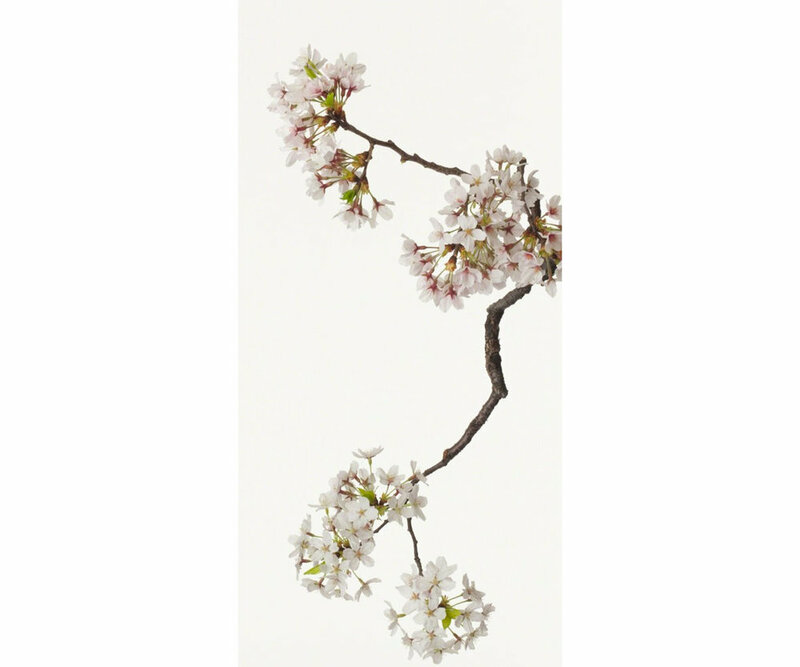 Look closely at this cherry blossom photograph: Tomo-oka has skillfully honed in on what makes them so extraordinarily moving: it is the acceptance that their beauty is short-lived and that decay is inevitable. Tomo-oka’s intention is to minimize the artist’s interference between subject and viewer. We so often create extensive webs of meaning around flowers, but these deceptively simple photography allow the natural forms of the plant to speak to us as directly as possible. 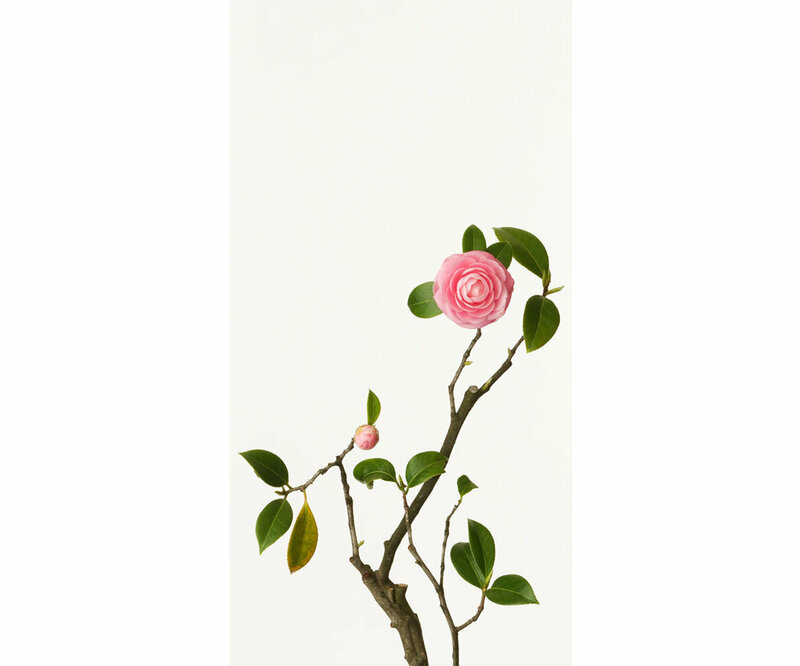 Tomo-oka prints his digital photography exclusively on Japanese rice paper, or washi. Its coarse and hand-crafted texture lends naturalistic depth to the two-dimensional portraits. Digital photography, through Tomo-oka’s lens, is rich with cultural insight and poignant conviction. Like the storied woodblock prints of the floating world, these arresting floral portraits are timeless because they capture life’s fleeting and cherished moments. 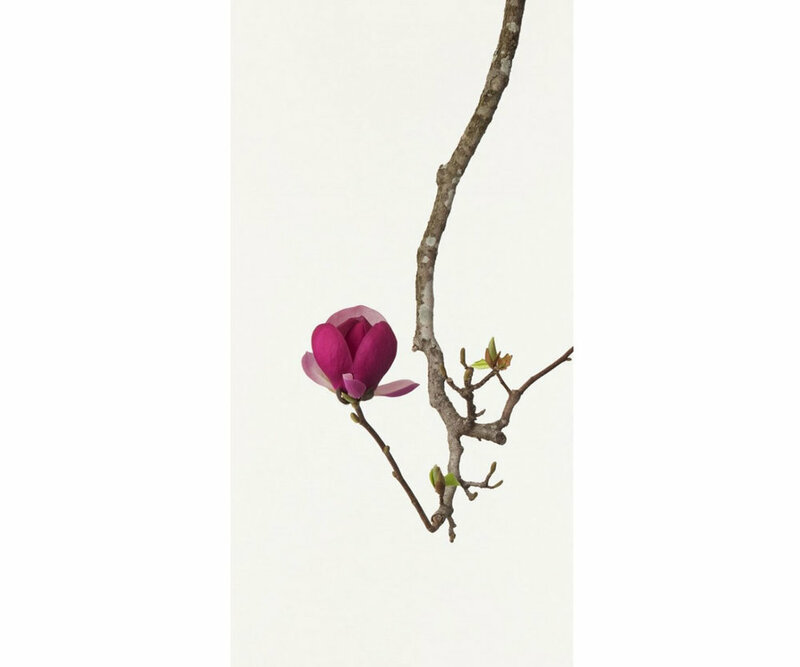 You can view and purchase Tomo-oka's work at the Ippodo Gallery in New York.